I just got to the coffee shop where I need to get some work done, but wanted to link up with Jenn and share these little ballz of goodness, hehe. On the stove, in a double broiler, place 1-2 tbsp. of coconut oil in the pan, let it melt. 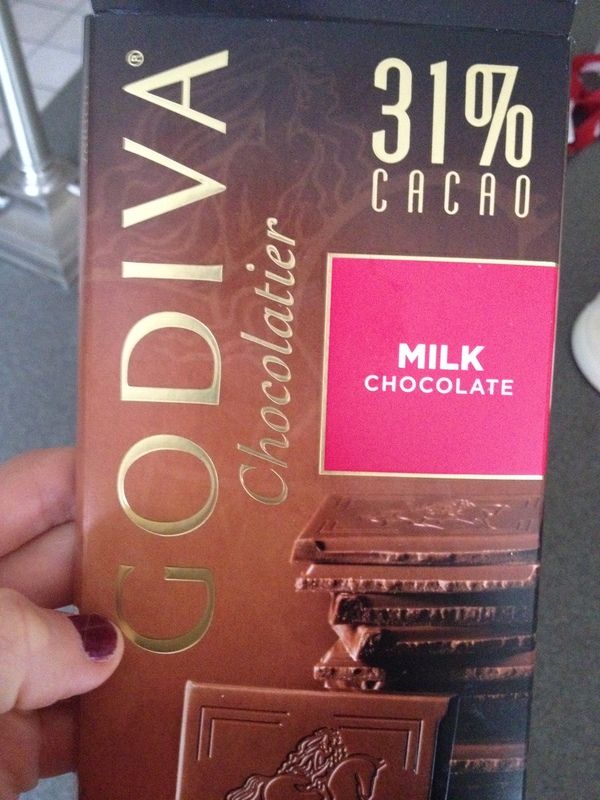 ADD chocolate. Take protein mixture from fridge & form it into ball. ** Note: You may eat these in one sitting 🙂 Something about the creamy chocolate coconut sauce. But it’s A-OK.
Head over to Jenn’s blog to see what else is cookin’ / baking 🙂 lot’s of yum! 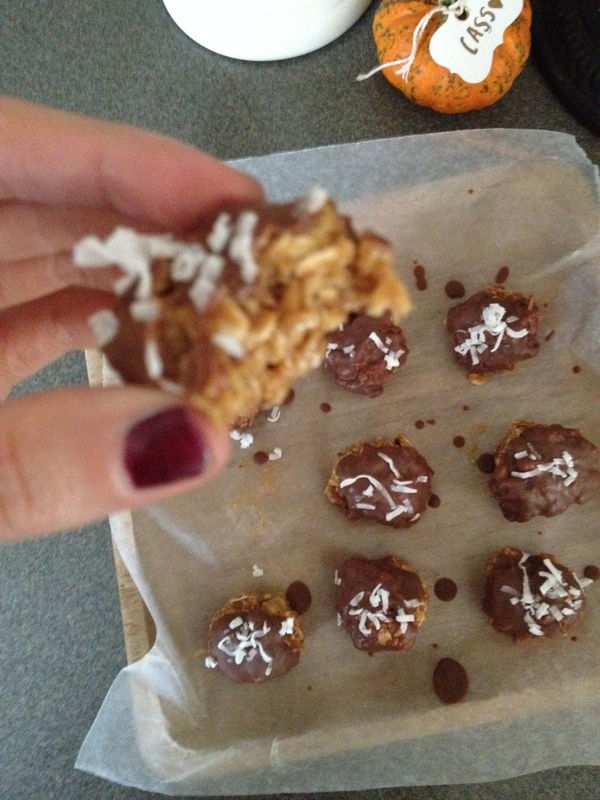 This entry was posted in Uncategorized and tagged Chocolate, Easy recipe, Oats, Protein Balls, WIAW. Bookmark the permalink. Oh no another one! I’ll have to try this one seeing as I LOVE coconut! I know, I know.. but I just cant help myself with all these yummy ballz! 😉 LOL. I love coconut too! Love me some balls! these look SO good!